This St. David’s Day, Rebecca Evans joins BBC National Orchestra and Chorus of Wales to celebrate Wales’ patron saint at St David’s Hall. The Welsh soprano, with up and coming artists tenor Joshua Owen Mills [originally from Neath] and violinist Charlie Lovell-Jones, celebrate Wales’ rich cultural heritage with the music of Sir Karl Jenkins, Paul Mealor, Ivor Novello, Morfydd Owen and Joseph Parry. Winner of the Urdd National Eisteddfod’s composer medal and one of the most promising young violinists in the UK, Charlie Lovell-Jones [aged 18 from Cardiff] brings both skills to the stage in a special performance with Rebecca of a new composition – Cariad Cyntaf. 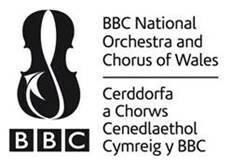 Celebrate St. David’s Day with BBC National Orchestra and Chorus of Wales at St David’s Hall [1 March]. For further information and tickets visit bbc.co.uk/now or call the BBC NOW Audience Line on 0800 052 1812.